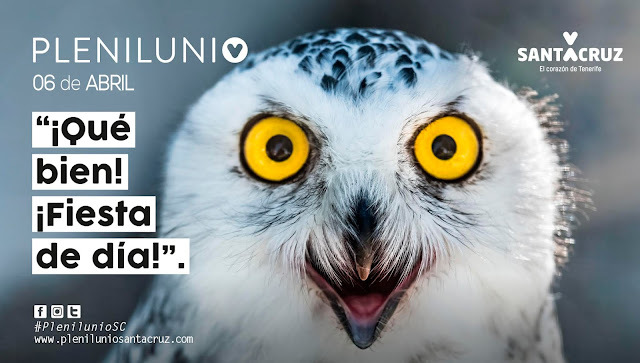 A new edition of the Plenilunio Santa Cruz (Plenilunio means Full Moon) initiative will take place in the capital of Tenerife on Saturday 6 April. Over a dozen venues will host a wide range of activities for audiences of all kinds, in a program that runs from 11 a.m. to midnight. 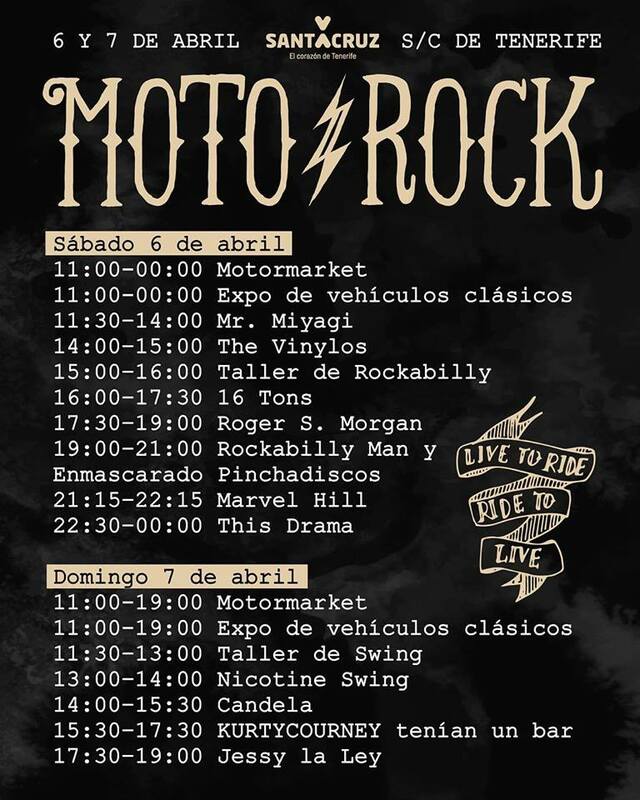 On Sunday 7 April, Parque García Sanabria will continue the program with a wide range of food on offer from 11 a.m. to 8 p.m.
Two of the novelties of the tenth edition of Plenilunio Santa Cruz will be the Moto Rock and Ecofest festivals, which will take place on Saturday 6 and Sunday 7 April in the Avenida Marítima, Plaza de Europa and the Museum of Nature and Archeology. 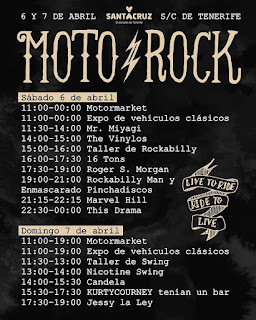 The Motorrock Festival on the Avenida Marítima will combine music, vehicle exhibitions, a themed market and gastronomy, which can be visited both on Saturday from 11:00 am to 12:00 am and on Sunday 11 : 00 to 19:00 hours. The vehicle show, consisting of 40 motorcycles and 20 cars and several classic vans, will be complemented on Saturday with the performances of Mr. Miyagi from 11:30 a.m. to 2:00 p.m. The Vinylos, from 2:00 p.m. to 3:00 p.m. 16 Tons from 4:00 p.m. to 5:30 p.m. Roger S. Morgan, from 5:30 to 7:00 p.m. Rockabilly Man and Masked DJ, from 7:00 p.m. to 9:00 p.m. Marvel Hill, from 21:15 to 22:15; and This Drama, from 10:30 pm to midnight. In addition, from 15:00 to 16:00, there will be an initiation workshop to rockabilly. The Moto Rock Festival will remain open on Sunday from 11:00 a.m. to 7:00 p.m., and will include a swing initiation workshop, from 11:30 a.m. to 1:00 p.m. and the musical performances of Nicotine Swing, from 1:00 p.m. to 2:00 p.m. Candela, from 2:00 p.m. to 3:30 p.m. Kurtycourney had a bar, from 3:30 pm to 5:30 pm; and Jessy La Ley, from 5:30 to 7:00 p.m. The Plaza de Europa will host the Ecofest Festival, in which, under an environmental theme, there will be music, gastronomy, children's activities and an ecological market, and which can be visited both on Saturday from 11:00 at 00:00 hours as on Sunday from 11:00 to 19:00 hours. 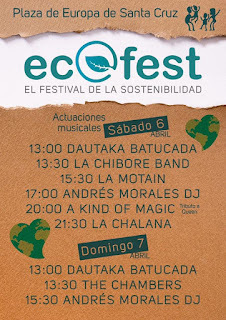 The programming of the Ecofest Festival will be complemented with activities that will take place on Saturday and Sunday in the auditorium of the Museum of Nature and Archeology (MUNA). On Saturday at 11:40 in the auditorium of the Museum of Nature and Archeology (MUNA) a conference 'Let's talk about waste: Breaking myths' takes place, while at 12:30 is the activity 'Space to share - Eco Trends: Zero plastics', in which the problem of plastics will be addressed. At 16:00 hours activities focus on recycling and caring for the environment; and at 18:00 hours the film "Oceans, the mystery of lost plastic" will be screened. The Ecofest Festival program in the auditorium of the Museum of Nature and Archeology (MUNA) will continue on Sunday from 11:30 a.m. to 7:00 p.m., and in which lectures on waste, eco-trends, recycling and bioagriculture will take place and will conclude with the screening of the documentary 'Buy, throw, buy' from 5:00 p.m. 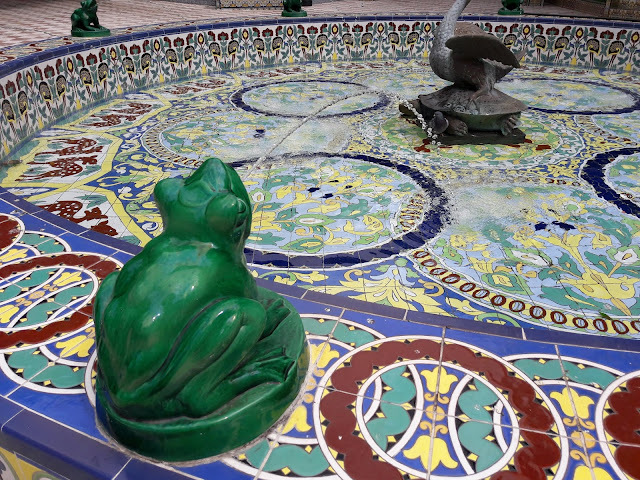 There are other activities taking place at the Plaza del Príncipe, Plaza de La Candelaria, Plaza de España, Calle La Noria, the Casa del Carnaval, Plaza del Chicharro, Calle Castillo and the Mercado de Nuestra Señora de África, among others. The program of activities can be consulted on the web www.pleniluniosantacruz.com, both in Spanish and English, categorized by times and topics. The organization of this tenth edition of Plenilunio Santa Cruz is under the responsibility of the Santa Cruz de Tenerife City Council, through the Development Society, with the sponsorship of Heineken, Obra Social La Caixa, Mutua Tinerfeña, Cepsa Foundation, Del Monte and Coca-Cola , has the collaboration of Sanitas, Libbys, Fundación Emmasa, Automotor Canarias and Lolea, and the participation of Tu Km 0, Tenerife Trade Show Institution, Apremate, Fuente Alta, Dislecan NGO, Apadi, Santa Cruz Casino and Hotel Príncipe Paz. And as always with events such as this, Tenerife bus company, TITSA, are increasing night time services on some routes so that people can get to and enjoy the festival.